Elixinol™ is a Hemp Oil derived from specially bred Industrial Hemp plants with a high CBD content. The Hemp we use is grown organically, and CO2 extracted. The resultant oil is then added to an easy-to-use dropper bottle, containing 300mg of CBD (cannabidiol). It is a wholesome extract, not synthetic and not an isolate. It contains all the synergistic Cannabinoids, Terpenoids, Essential Oils and other compounds of the original plant. 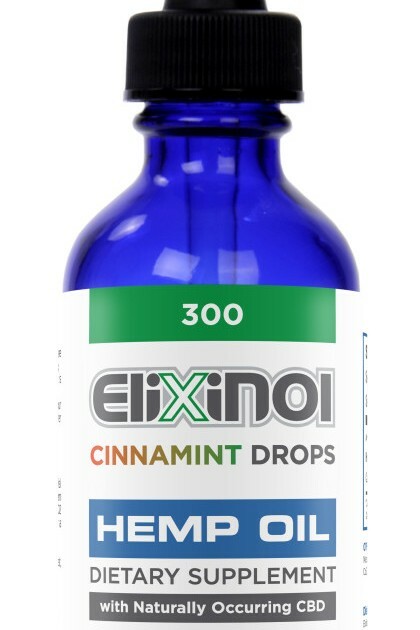 A 30ml tincture of Elixinol™ contains 300mg of cannabidiol extract or CBD hemp oil drops. A suggested serving is ½ dropper (0.5ml) taken under the tongue three times daily which will provide many valuable nutrients including 15 mg of CBD.